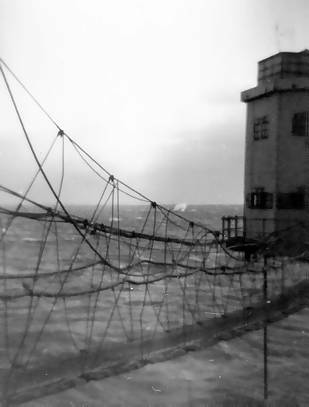 On this page are some of Luc's photos of Shivering Sands fort, Radio City's home. 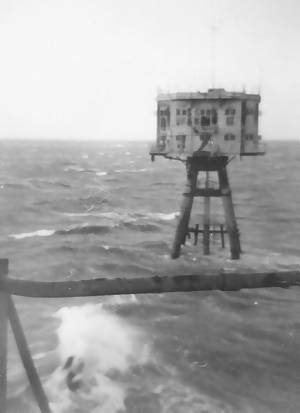 One of the Shivering Sands towers. 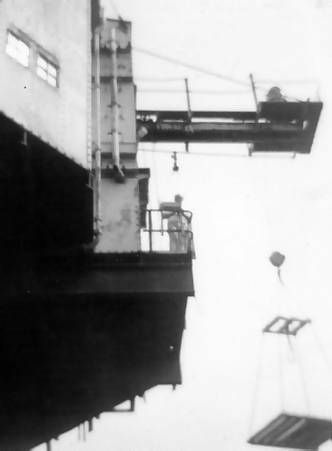 Supplies and personnel were winched aboard on this platform. 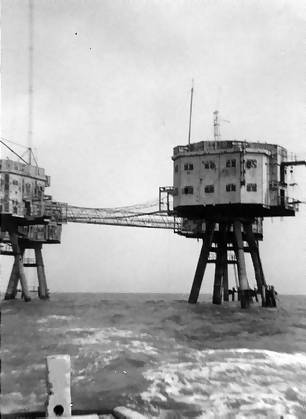 One of the towers was cut off from the others. Radio City only used two of the towers. 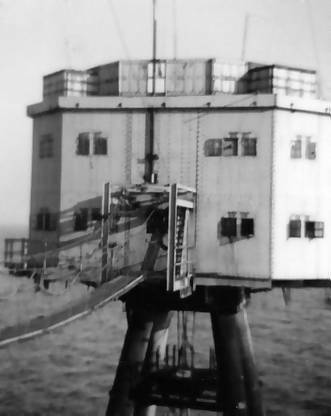 One of the walkways that connected the other towers. Shivering Sands from the tender. 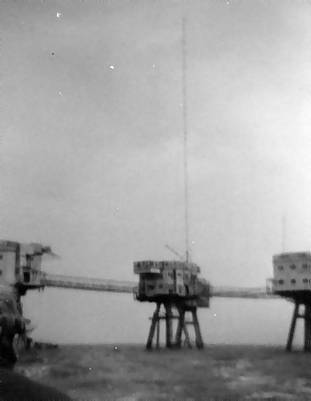 Shivering Sands from the tender, showing the massive aerial mast which gave the station its ‘tower of power’ nickname. Back to the previous page of photos.